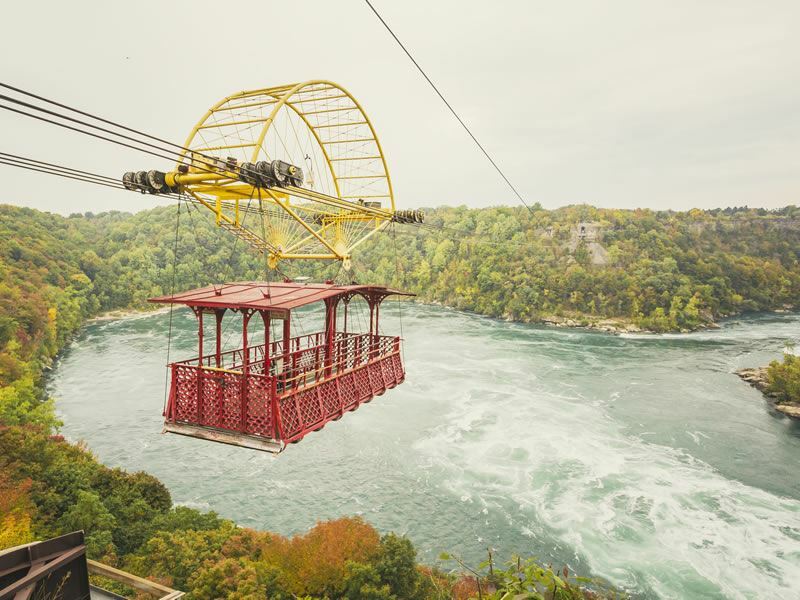 Canada’s most populous province of Ontario offers plenty of adrenalin-pumping and heart-racing thrills to inspire fun-seekers and adventurers. Here’s the 10 best outdoorsy activities worth getting excited about. 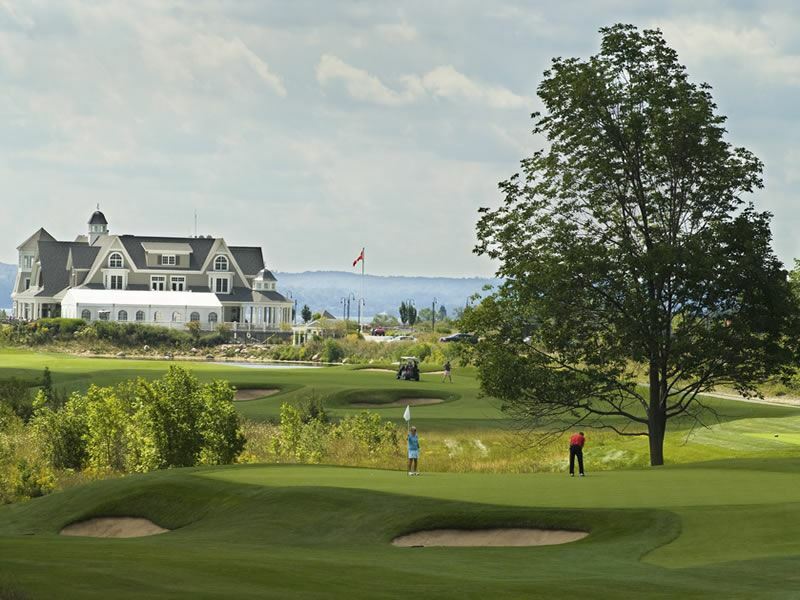 Given the 800-plus courses and 420 clubs across the province, there’s no shortage of undulating fairways, breathtaking links, challenging bunkers, and skill-testing layouts for golfers. As holy shrines go, most standout is The National Golf Club of Canada (nicknamed The Nash) for its world-class holes, and the 1929 Stanley Thompson-designed St George’s Golf & Country Club for its slick greens and some of the best bunkering in all of golf (it’s other claim to fame is that it’s staged five Canadian Opens). More reliably good golf is available at Georgian Bay’s Cobble Beach Resort (voted one of the 10 best new courses in the world by Travel + Leisure magazine) and Niagara’s Thundering Waters - PGA pro John Daly's first signature course in Canada that’s made headlines for its high-risk combo of peaceful parkland and windswept dunes. There’s also the high-impact golfing paradise Muskoka for eight of the 50 best golf courses in Ontario (as voted by CPGA professionals) - most play-worthy of which are the championship courses carved out of the brilliant granite outcroppings of the Canadian Shield. 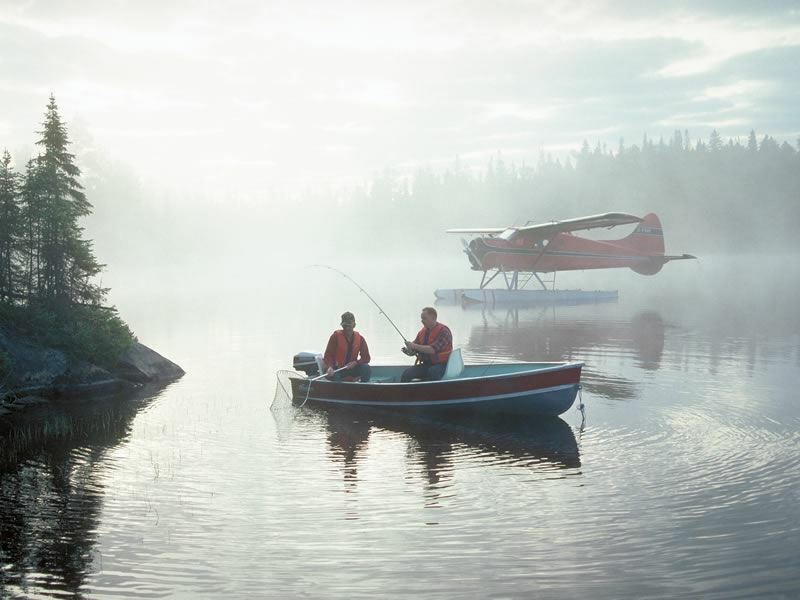 It’s easy to see why Ontario (meaning Land of Shining Waters) holds such appeal for adventurous anglers keen to hook a trophy brook trout, lake trout, muskie, northern pike, salmon, or bass. Home to 400,000 lakes, rivers and streams that altogether hold a staggering 15 percent of the world’s freshwater, you’re assured some of the best year-round fishing experiences on the planet - not to mention adrenaline rushes that will send you reeling. Assuming you’re prepared to stick to the rules and regs (anyone who fishes in the province needs a license; available online or at most sporting-goods stores and bait dealers), there’s little better than ice-fishing on Lake Simcoe, fly-fishing on the Grand River, and hopping aboard a game-fish charter in the Western Basin of Lake Erie. Equally trip-worthy is the stunning Lake of the Woods to target walleye, perch, crappie, smallmouth bass, largemouth bass and sturgeon, and the mighty Lake Ontario to snag some chinook salmon, coho salmon, and other once-in-a-lifetime type catches - especially in the iconic Bay of Quinte just west of the St. Lawrence River. Whether you're seeking solitude on the sands or pounding surf, Ontario offers a superb selection of beaches - especially in the south that’s blessed with a wide collection of shores on both major and minor lakes. For their clichéd good looks, the 11-kilometre white-sand Sauble Beach on Lake Huron and the longer 14-kilometre Wasaga Beach on Nottawasaga Bay deservedly get all the glory. But there’s plenty more under-the-radar places for you to rock up and relax. 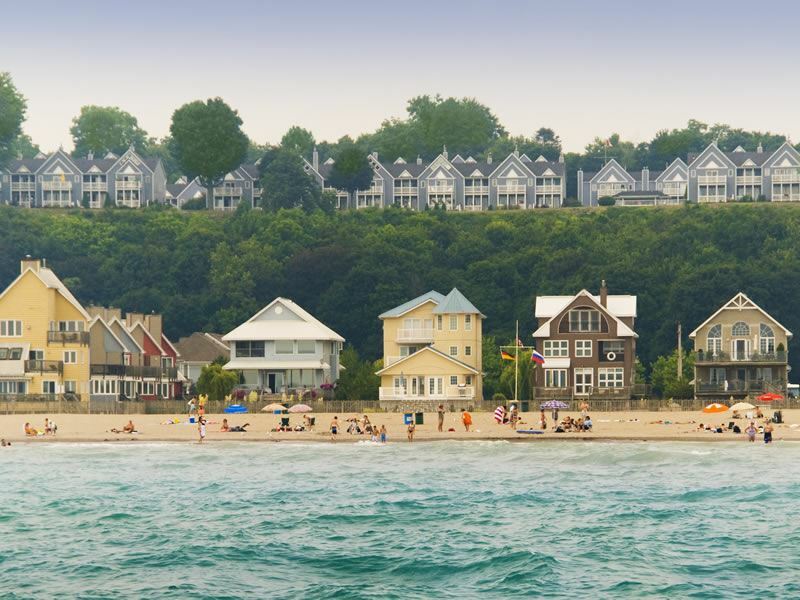 Try Cobourg Beach for glittering sands that get kicked up by kids at the end of July’s famous Sandcastle Festival, Southampton Beach for enchanting sand dunes, and Crystal Beach for brilliant crystalline Lake Erie waters. Further spots where you can soak up the sun include Grand Bend Beach on Lake Huron, Agate Beach on Lake Superior, Lion’s Head Beach on Georgina Bay, and Port Stanley’s Main Beach on Lake Erie’s northern shore. For more of a glam see-and-be-seen experience, try Sugar Beach in Toronto - the swanky city beach famous for its pink designer umbrellas, candy-striped granite rocks, and Insta-worthy skyline. 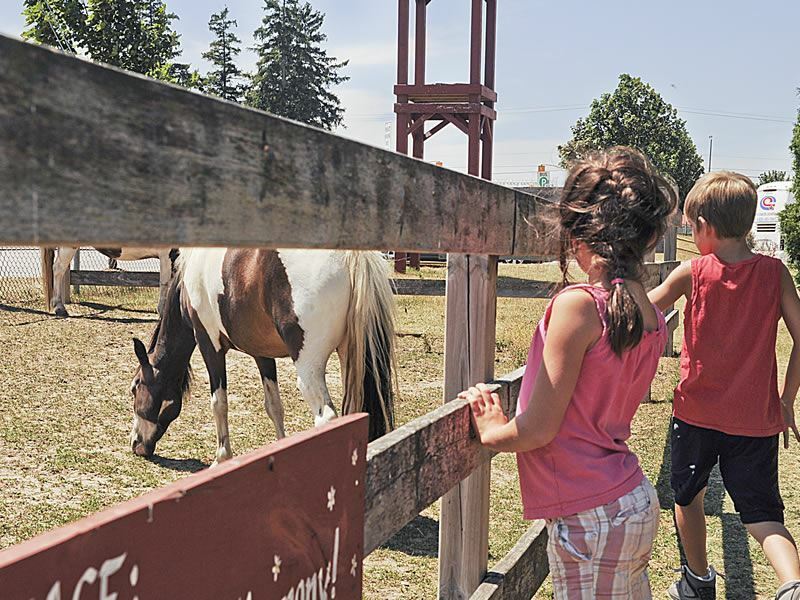 There’s a crowd-pleasing mix of old-fashion farmyard attractions across the province, most of which offer green-minded folk the chance to pet rare-breed animals, collect eggs, ride ponies, and learn more about the inner workings of agriculture. Head to Gammondale Farm on the Slate River Valley for winter horse-drawn sleigh rides, egg hunts and 40 varieties of home-grown pumpkins and squash - or try Egli's Sheep Farm & Animal Park in Minnitaki to meet young barnyard animals such as lambs, kids, bunnies, and baby chicks. There’s also Round’s Ranch in for its petting zoo and cornfield maze, Whittamore’s for its annual Pumpkinland festival, and Far Enough Farm for its 40 species of farmyard animals (mostly mini-potbelly pigs, horses, mini ponies, horses, guinea pigs, and emus). Should time allow, spend a few hours at Canada Agriculture & Food Museum - the authentic working urban farm just across from Ottawa’s Rideau Canal. Here you can learn about the history of tractors, hitch a ride on a horse-drawn Tally-Ho wagon, and enjoy an ever-changing array of daily demos such as bread-making or cow-milking. 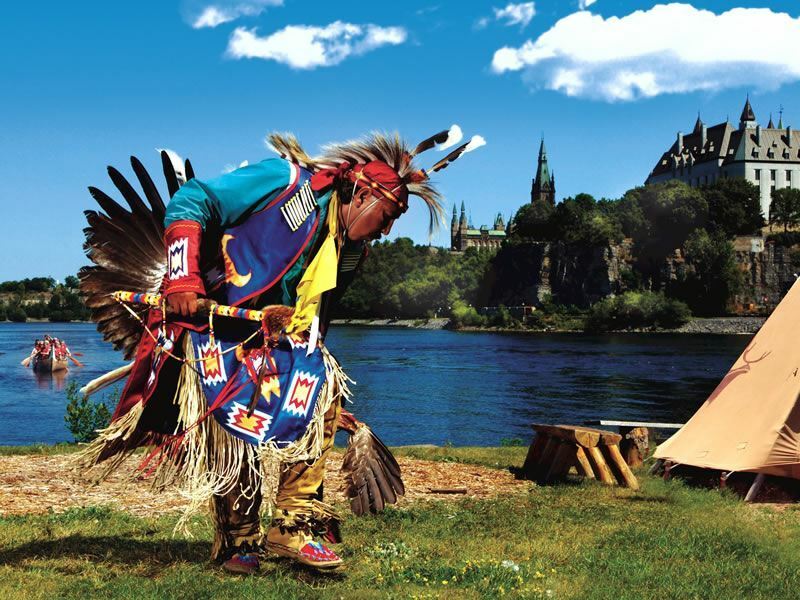 For history buffs keen to learn first-hand about the Aboriginals (the collective term used for the First Nations, Métis and Inuit people whose history predates the arrival of European settlers), a guided tour fills in the gaps. Try the lgonquin Canoe Company for must-see spots in the Wolf Lake First Nations territory, Great Spirit Circle Trail for nature-based tours of Manitoulin Island, and Misabi Adventure Company for visits to First Nation spiritual sites. If you’d prefer to do things under your own steam, check out the petroglyphs (patterns chipped or carved into the rock) and pictographs (patterns painted on the rock) at Woodland Caribou Provincial Park, Bon Echo Provincial Park, Quetico Provincial Park, and Petroglyphs Provincial Park. Once you’re done gazing at rock art, essential detours include Sleeping Giant Provincial Park on the Sibley Peninsula to fathom out why the Ojibway Chief was famously turned to stone, and Kakabeka Falls on the Kaministiquia River to get the lowdown on Green Mantle - the heroic Princess who sacrificed her life to save her village from invading Sioux warriors. 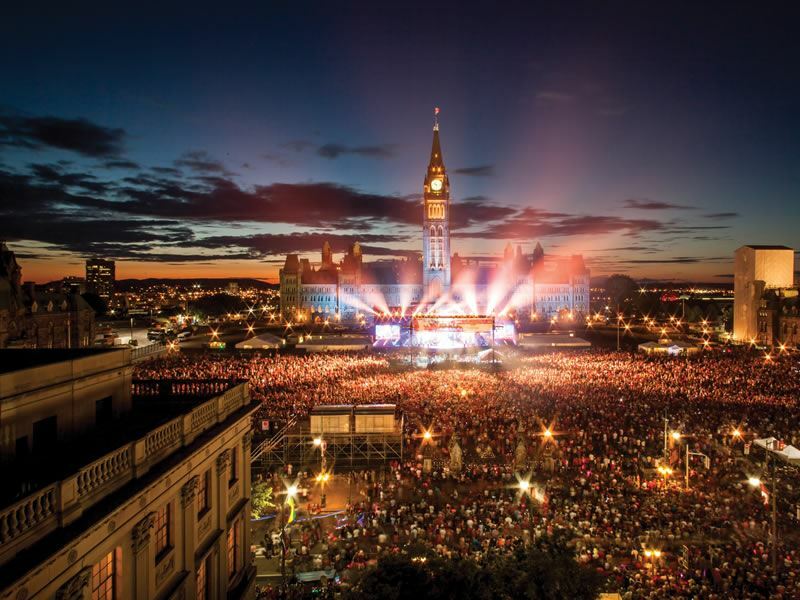 With over 3,000 annual festivals, it’s a tough call for the Festivals & Events Ontario (FEO) to narrow down the list each year and come up with an official Top 100. For outdoors enthusiasts, staples such as Winterlude, the Winter Festival of Lights, Canadian Tulip Festival, Canada Blooms and Wakestock feature alongside lesser-known entries such as the World Heritage Sunset Ceremonies, Cobourg Sandcastle Festival, Sunfest at Victoria Park, and Carrot Fest - a tribute to the booming agricultural crops of the black-dirt Holland Marsh. Further yearly offerings include Dogsled Derby in the Haliburton Highlands, Art of Eating Food and Wine on the Lake St. Clair waterfront, Kingston Sheep Dog Trials at Grass Creek Park, and Toronto International Dragon Boat Race Festival on Centre Island. Also not-to-be missed is the Toronto International Centre’s annual two-day Outdoor Adventure Show - Canada’s largest consumer showcase of adventure travel experiences and outdoor sports gear (diving walking, hiking, mountaineering, camping, canoeing, cycling, mountain biking, sailing) that takes place in February. Nowhere delivers the thrill of the open road like Ontario, especially for those wanting to stay clear of the well-worn touristy highway. 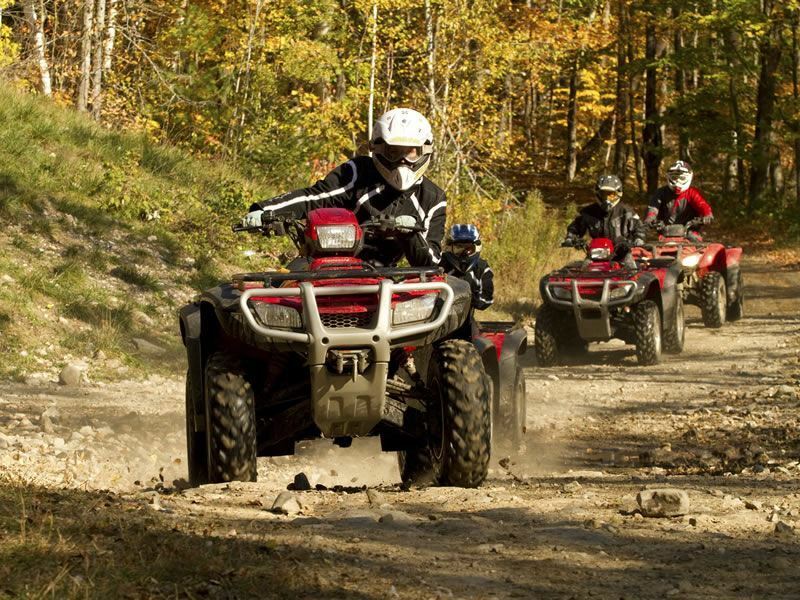 And while it’s tempting to think that ATV'ing means renting a four-wheeler and whizzing off on the dirt roads, there are rigid rules in place by three associations (Ontario Federation of ATV Clubs, Eastern Ontario Trail Alliance and ATVOntario) - all of which have their own system of trail passes. Once you’ve sorted out a permit, the boreal forests and Canadian Shield rockfaces make for some of the best riding on the continent - especially around Muskoka, Ardbeg, Cochrane, and Thunder Bay. Vagabond wannabes can also rent a motorcycle to hit the dozens of rider-tested routes, twisty backroads and wide-open highways - the best of which can be found in the Ottawa Valley, Haliburton Highlands, Northumberland County, Grey Bruce, and around the lakes. For a gentler alternative, RV'ing gives you the chance to work your way around the Lake Superior Coastal Route, Georgian Bay Circle Tour and Ottawa Valley Algonquin Highlands Route at your own pace. With over 250,000 lakes, 100,000 kilometres of rivers and 3,000 kilometres of coastline forming the shores of four Great Lakes (Erie, Huron, Ontario, Superior), it comes as no surprise that Ontario is fames for its watery wonders. Must-dos include navigating the 44 locks of the 386-kilometre Trent-Severn Waterway, sailing the 14,000 islands on the Lake of the Woods, and exploring the Grand River - a designated Canadian Heritage Water Trail. There’s also the iconic St. Lawrence and Ottawa rivers for overnight cruises as well as the UNESCO-listed Rideau Canal for the world’s largest naturally frozen winter ice rink (typically between January and late-February). And the waterfall’s are just as impressive, mostly Albion Falls, Websters Falls, Tew’s Falls, Eugenia Falls, Inglis Falls, Indian Falls, and Kakabaka Falls. But for crashing waters and cascades like no other, nothing beats Niagara Falls - the dazzling series of three separate waterfalls (Horseshoe Falls, American Falls and Bridal Veil Falls) that moves a whopping 750,000 gallons of water per second over a 167-foot-drop. 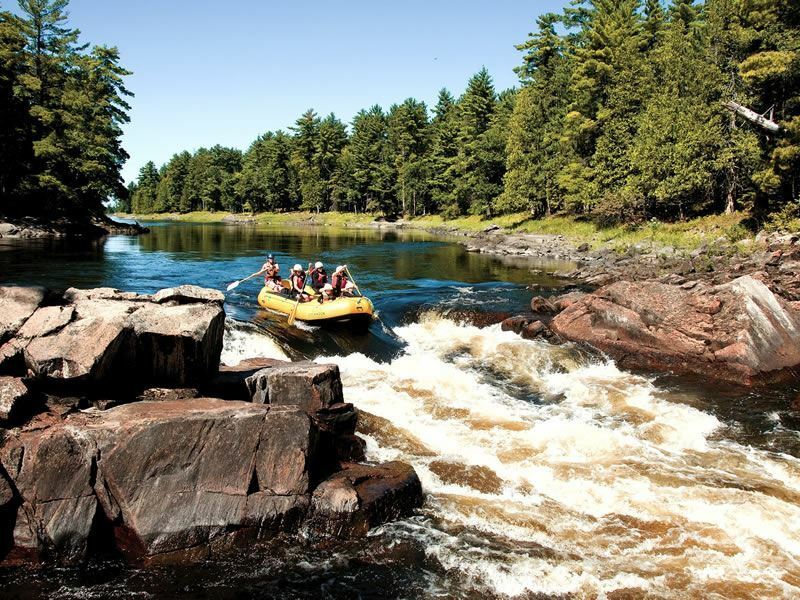 As the so-called Canoe Capital of the World, Ontario couldn’t be more perfect for those wanting to test their river-running skills to the limit by mastering white-water rafting, canoeing, kayaking, and stand-up paddling. Providing the weather is cooperative, the types of excursions you can experience are likely to be as varied as the scenery you’ll see along the way. Luckily, there’s something for everyone; from gentle half-day river trips with patient expert guides, to more extreme independent wilderness trips that present more of a challenge. 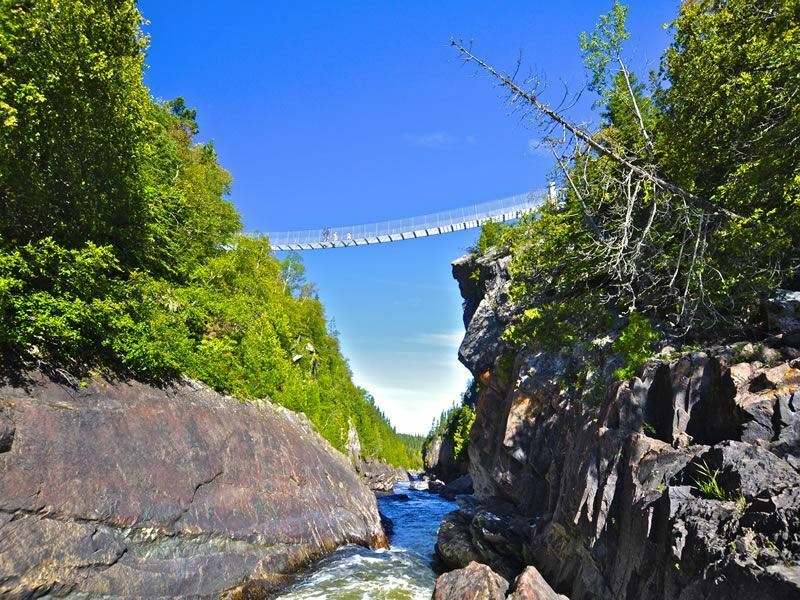 Highlights include sea kayaking around Georgian Bay, paddling with caribou on Lake Superior’s Slate Islands, and taking a combined train, plane and canoe trip to Wabakimi Provincial Park - one of the world's largest wilderness paddling areas. Further thrills include making your way down Canadian Heritage Rivers, tubing at Elora Gorge, and following the famous Circuit Champlain - the route of 17th-century explorer Samuel de Champlain who navigated the Ottawa River, Mattawa River, Lake Nipissing, the French River, and the waters of Georgian Bay. For land-based adventures big and small, Ontario’s 270 provincial parks, six national parks and hundreds of conservation areas will always exert their pull. 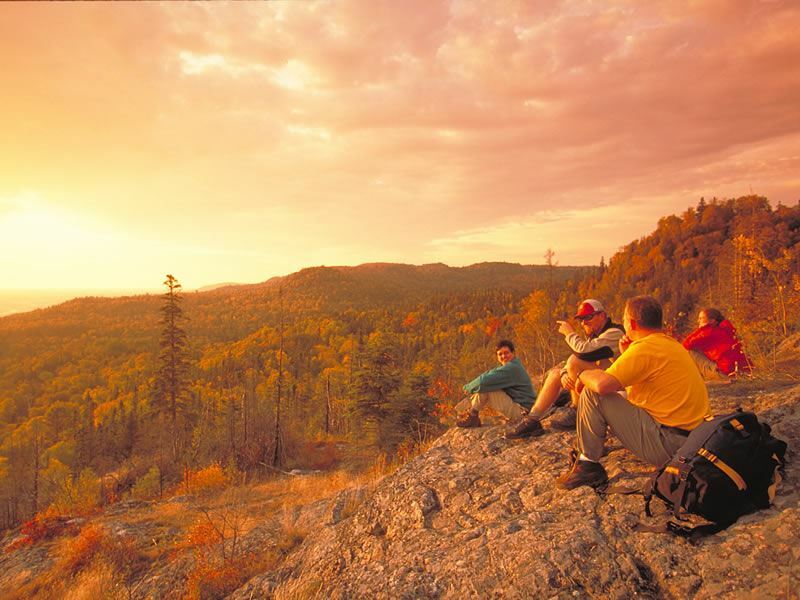 Highlights include scaling rockfaces at the Niagara Escarpment, ziplining over Long Point, rockclimbing at Rattlesnake Point and Mount Nemo, hiking past cliffs and shorelines on the Bruce Trail, and wildlife-watching at the supersized Algonquin Provincial Park. Equally gratifying is cantering along valley floors on horseback and watching the wonders of nature unfold as you cut across rugged wilderness trails, high ridges, and even abandoned logging roads. For cyclists, the easy-to-pedal and reasonably gentle routes that will make you fall in love with the province include Sun Valley Trail in Toronto, Welland Canals Parkway Trail in St. Catharine’s, Savanna Biking Trail in Grand Bend, Kate Pace Way Trail in North Bay, Red Loop Trail in St. Marys, and Humber Village Heritage Trail in Toronto’s suburbs.